Cape Town - Mamelodi Sundowns forward Lebohang Maboe believes he has done more than enough in 2018/19 to be considered for the Player of the Season crown. It was uncertain whether the player would deliver since his arrival from Maritzburg United, however, he has lived up to expectations during his first season at Chloorkop. The talented 24-year-old has managed eight goals and five assists in 22 Premiership games and is the club's leading goal-scorer in all competitions. 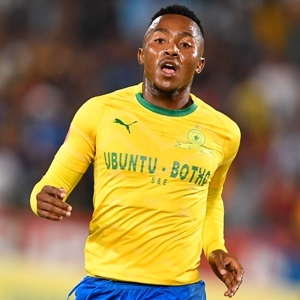 Even despite the exit of Percy Tau who signed for Brighton in England, it appears Sundowns have not lost out greatly due to the performances and influence of the young star. Maboe said: "Yes I would [consider himself as a candidate] I mean I've been doing well and it's not up to me to judge that, but all I can say is that I have been doing well for the team. "I'd say I still have a lot to do and a lot more to offer. I still need to be more clinical in front of goal and take the right decisions at the right time. I feel like I've done well in my first season here." The Bafana Bafana international will no doubt have a major role to pay when Downs host Egyptian giants Al Ahly in Saturday's CAF Champions League quarterfinal at the Lucas Moripe Stadium.